We have 3 techniques of printing: Heat transfer, Vinyl printing and Screen printing. This technique give a soft feel print, the printed image will stay inside the shirt (you can't feel the print when touching it). Heat transfer will give best result on Polyester's shirt. _ Can print photo, design with shadow or gradient. _ Can do small quantity order (event 1 shirt). 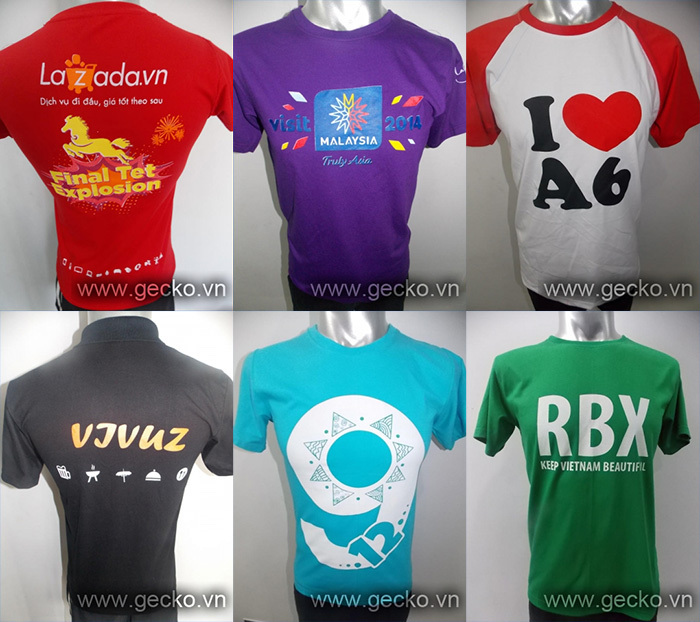 _ Give best printing result on Polyester's shirt (about 95% of design), and fainter on Cotton shirt (about 60% of the design). 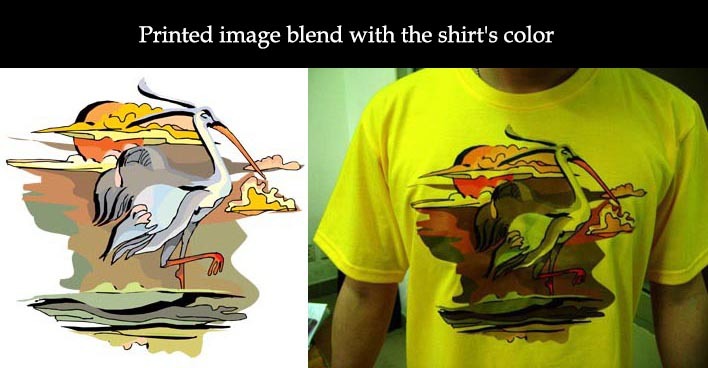 _ Can't print on Dark color shirt, printed image will blend with the shirt's color. _ Don't have white ink (If your design have white, the white sector will be replaced by shirt color). Most of the Screen printing's process done by hand of the skilled artisan.The printed image will stay on the shirt (you can fell the print when touching it). _ Can print on all fabric, printed image won't blend with the shirt's color. _ Can only print solid colours design. _ Minimum order is 10 shirts per run. 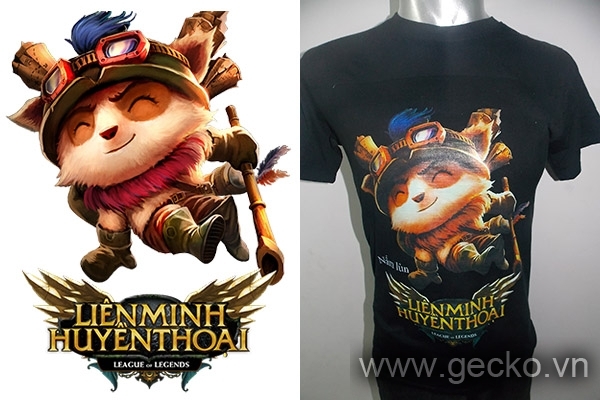 _ Printed image will stay on the shirt (you can feel the print when touching it). _ Can print full color design with shadow or gradient, photo.